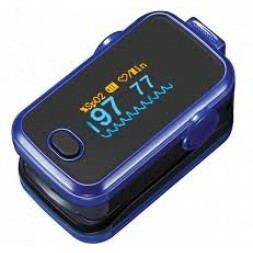 MediOne stock both adult and child Pulse Oximeter. Pulse oximetry is the measurement of oxygen levels or oxygen saturation in the blood. It is noninvasive, painless and a good general indicator of oxygen delivery to the peripheral tissues. 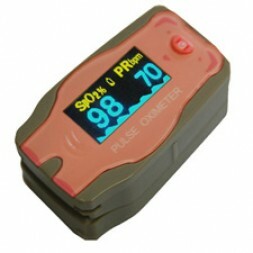 A Pulse Oximeter is a clip like device, usually used on the finger, to measure the blood that is still carrying oxygen. It compares and calculates the differences in the oxygen rich versus oxygen poor haemoglobin. The microprocessor calculates the differences and converts the information to a digital readout. This helps your doctor assess the amount of oxygen being carried in the blood and evaluate the need for supplemental oxygen. The Aeon Adult Finger Pulse Oximter is a non-invasive finger device used for measuring oxygen levels in the blood. Suitable for use in a family or clinical situation. It has 6 display modes, is light weight and easy to use. The Choicemed Pulse Oximeter Child Model is suitable for babies 4 weeks to 12 years of age. Measures Pulse Oximetery (SpO2), Pulse Rate and displays Pleth Bar. Approximately 30 hour battery life (includes two AAA batteries). Lightweight (25 grams), easy to use with automatic power off.